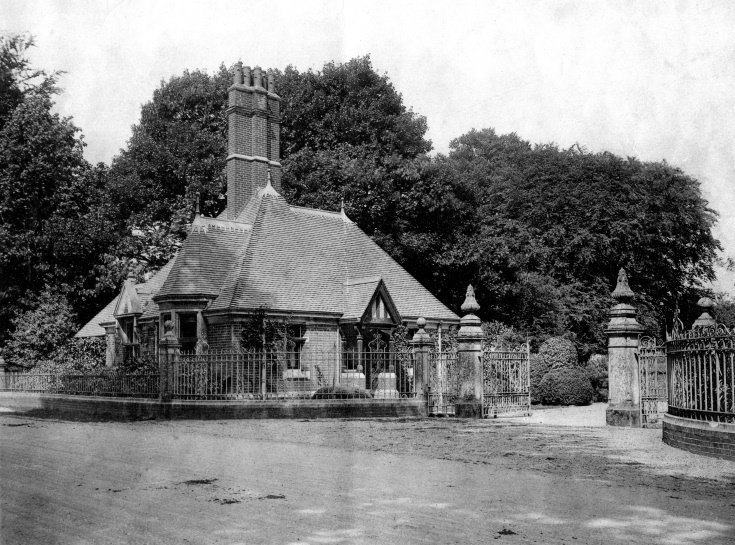 Following the death of John Warren (1831–1905} the Handcross Park estate came up for sale by auction on 25th July 1905. He was the unmarried uncle of John Raymond Warren of the Hyde. To view details of an earlier auction sale of the estate in 1873 go to picture #2426 and picture #2427. The Large Version displays a map of Handcross showing the lots coming up for sale. It is interesting to see the Red Lion field where the fetes and sports used to take place at the time of the auction. The owner was described as Tamplin Esq, being presumably a director of Tamplin and Sons Ltd, brewers of Brighton which was founded in 1821. Tamplins was taken over by Watneys in 1953 and brewing at Brighton ceased in 1973. Pictures of the field used during the Sports Days can be seen on pictures 2430 to 2435. The southern part of the field was used later to provide a site for Truggers estate built shortly after the Second World War. It is interesting to note that a large part of the so-called Handcross Park estate west of the main London to Brighton road in 1905 now represents a major part of the Hyde estate. In typical language of such auctioneers, the estate is described as being located in “one of the most bracing and salubrious in the Southern Counties”.